Our snowman is now standing guard next to a mighty fortress (or, as the grandchildren of our neighbours see it, a supermarket…) which can be reached via bob run. This sunny afternoon this week was definitely a moment to pause and remember as sunshine is a very rare occurence right now. This entry was posted in this moment and tagged bob run, snow, winter. Bookmark the permalink. Lots of fun! We have so much snow now that it’s hard to go sledding. Enjoy your weekend! 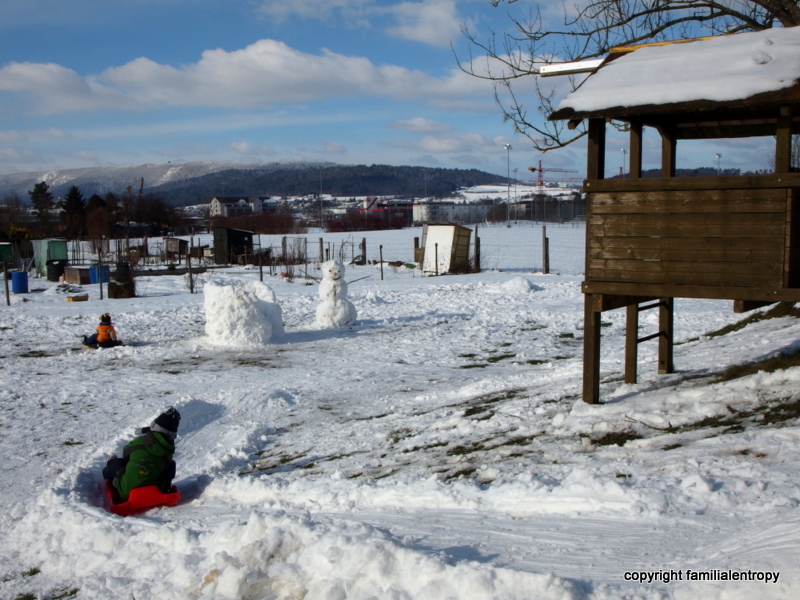 We would still need just a little bit more in order to do proper sledding… Have a nice weekend too. Oh there’s some serious imagination gone into all that construction – how fantastic – and I love the idea of a bob run to the supermarket! !